A former Florida Army officer's wife has been convicted of first-degree murder in the shooting deaths of her teenagers, with jurors rejecting her insanity plea. 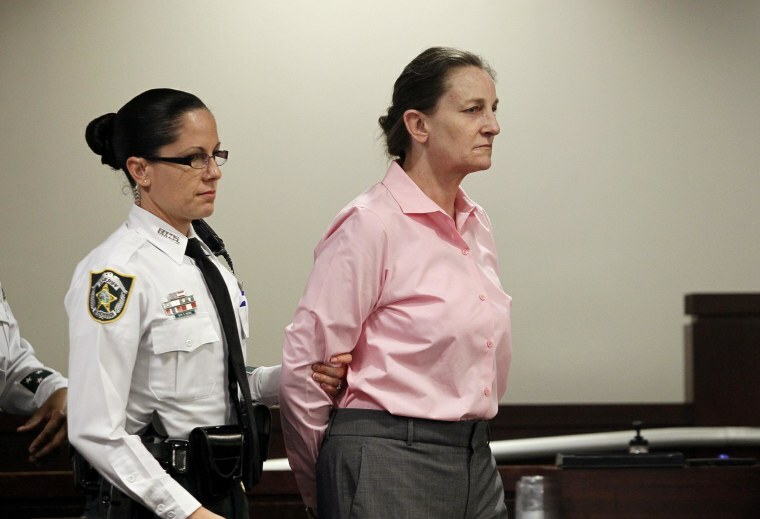 Jurors on Thursday found 53-year-old Julie Schenecker guilty of killing both her 13-year-old son and 16-year-old daughter in Tampa in 2011. After daylong closing arguments Thursday, jurors started talking at about 4:45 p.m. and at about 6:30 it was announced they had a verdict. Prosecutors say she was sane when she killed her children. The defense argued she suffered from years of mental illness and was legally insane during the time of the killings. Schenecker wiped her nose and eyes, then the bailiffs handcuffed her. She started to cry. Sentencing was expected to soon follow and she faces a mandatory life sentence.